We’re very pleased to announce that the newest addition to our Domestic ASM Team is technical expert Bob Law, who becomes Ferroli’s representative for the Northern Ireland, Yorkshire & Humberside regions. Bob may be new to our team of ASMs but he isn’t new to Ferroli and he certainly isn’t new to boilers. Bob is a highly skilled heating engineer with 14 years of experience in the domestic and commercial sectors and has been part of Ferroli’s technical department since 2011. After nearly two years on the market, the reliability record and performance of the Modena HE range of high efficiency condensing domestic boilers continues to underpin its reputation as a boiler that’s changing installers’ hearts and minds. It’s a boiler that Bob knows inside out so the advice and technical support that he can give to installers is second to none. “The new Modena is an even better version of the original launched in January 2012,” said Bob. “Only four moving parts means it is highly reliable boiler and the compact size, light weight, straightforward installation and many flueing options makes it a very easy appliance to work with. 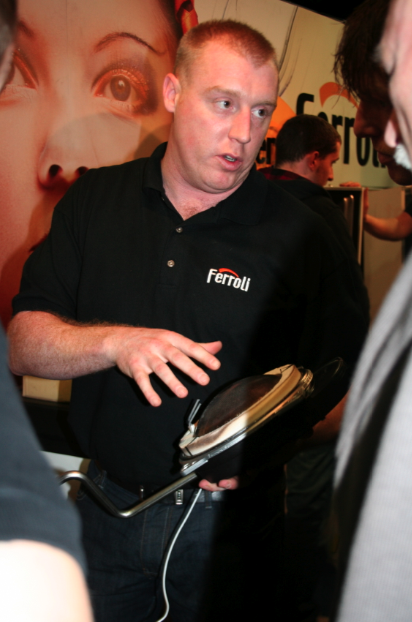 Ferroli will be offering free training on the Modena to installers in Northern Ireland in the New Year. For more information on the Modena HE range and training opportunities contact Bob on bob.law@ferroli.co.uk.